It is as simple as that Now! How do you start using this new exciting feature of ExportFeed for Google Merchant? Login to the ExportFeed Cloud Dashboard: Whether your business is based on Shopify or BigCommerce, install the ExportFeed app and access the cloud dashboard. Click on the big “plus” button to add a new sales channel. Then, click on the Add New Channel button below the Google Merchant. You’ll be redirected to the dashboard. Now, on the dashboard, click on Sell on Google button to get to the connection option screen. Choose an option on the connection option screen. 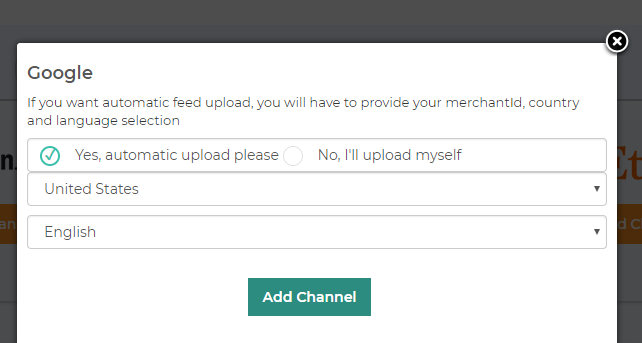 If you select the second option, you’ll create product feed and upload the URL to Google manually.And, if you select the first option, you’ll be able to upload your Shopify or BigCommerce products directly to Google Merchant center. 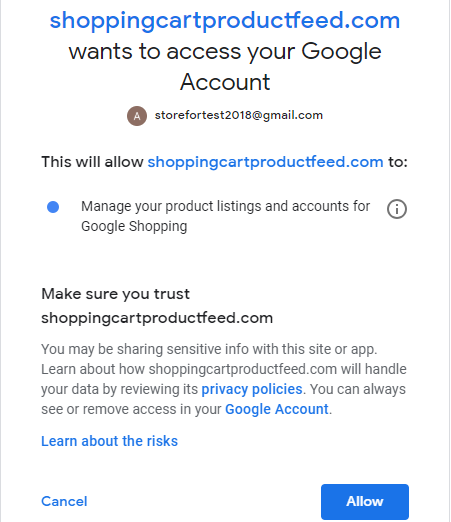 After selecting the Country for Google Shopping to display your product ads and the language, click on the Add Channel.Completing this step will take you to login to your Google Account if you aren’t logged in, or if you are logged in, you’ll be able to authorize ExportFeed app to manage your product feeds. 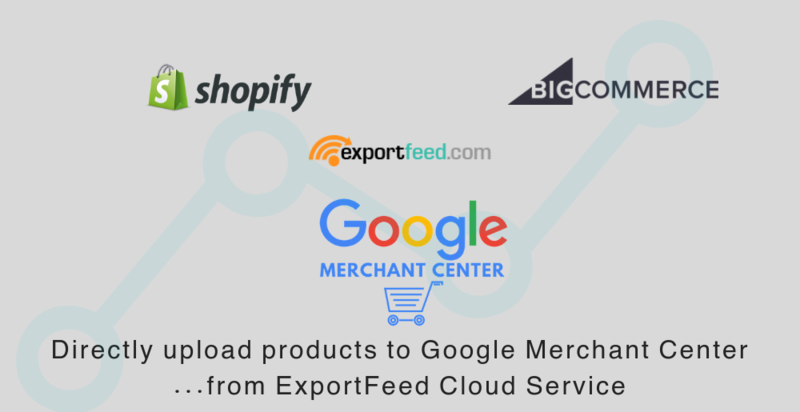 Now, all you need to do is provide the access token of your Google Merchant to ExportFeed app.This will authorize ExportFeed to manage your bulk products upload and sync for Google Shopping. Now select your product category of Shopify or BigCommerce to upload it to the Google Merchant center. If you haven’t yet tried our BigCommerce or Shopify apps to upload your products to Google Shopping, please feel free to try it Free of cost for 7 Days. Hasslefree bulk products upload to Google Shopping. Options to add 40+ other sales channels including Amazon and eBay. 7 Days commitment free trial and even a personalized demo. We’ve offered to setup your 1st Google Merchant Center feed totally FREE!